When I started blogging I used to interact with most of the male bloggers only as at that time girls were not active in blogging but now girls have also started blogging. There are many active female blogger around blogosphere. 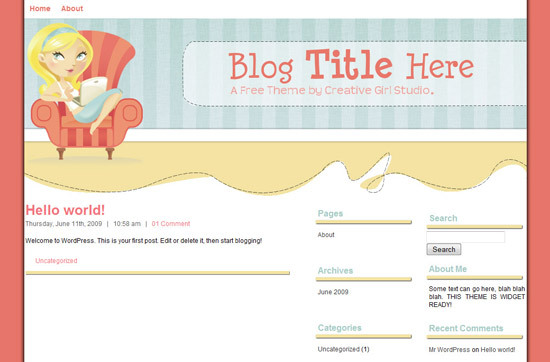 Keeping those girl bloggers in mind, I’ve collected some WordPress themes specially for girls. 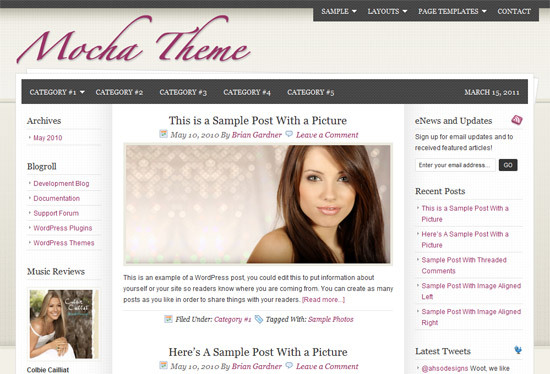 So here are 10+ best free and premium WordPress themes for girl bloggers. I hope you like this collection. If you think I have missed a themes that deserves to be in this collection then you can notify us by leaving your comments. Awsome, Nice information, I loved the girly Diaries 🙂 What women do best , and Women style themes are also good for Girls 🙂 Love them..
It’s my first post dedicated to girl bloggers. 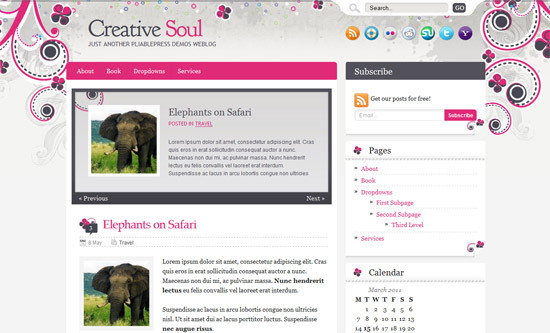 Thanks for listing our Creative Soul theme for your readers, really nice to hear that you like how it looks! 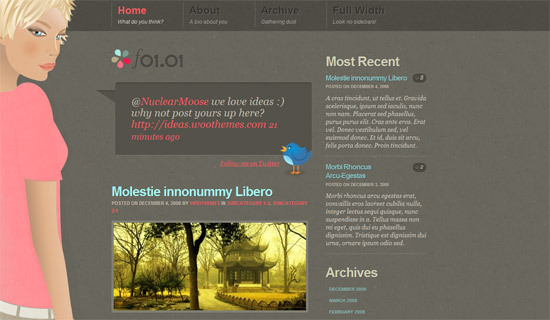 Great collection here, a lot of really nice themes! Actually girls like pink color the most. They love to wear pink color too. I think pink color suits them the most. nice themes for us simrandeep…. thanks for writing for female bloggers…. This is something different and unique. I liked the theme collection and uniqueness of this post. 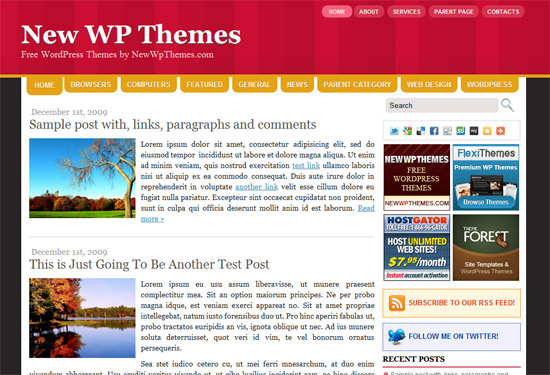 This time I tried to publish some different themes for the users. Wow, its crazy! I like Vanity design. 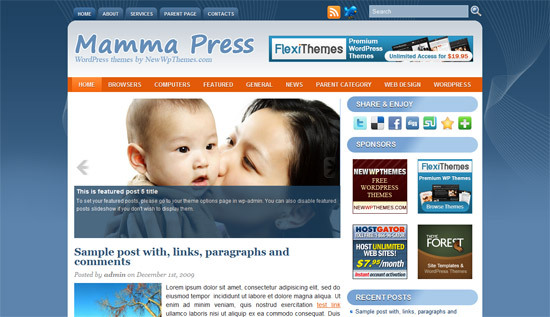 I wonder how good adsense convert on this theme. Boys can also use these themes if they like. 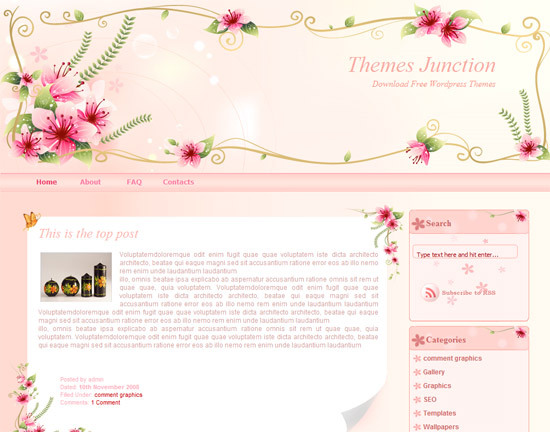 But these themes look good on girly blogs. I found this website that is good for girls on WP, nice photos too. 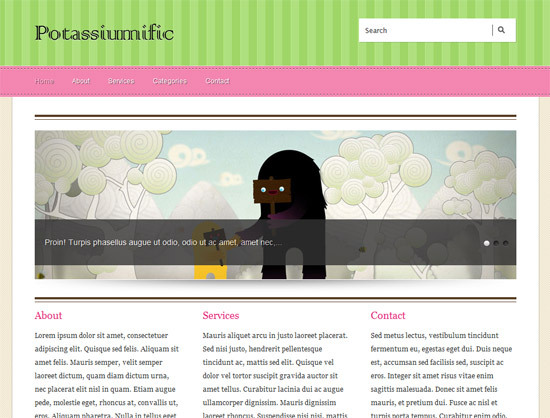 BTW Creative Soul are best theme Ive seen for the long time.